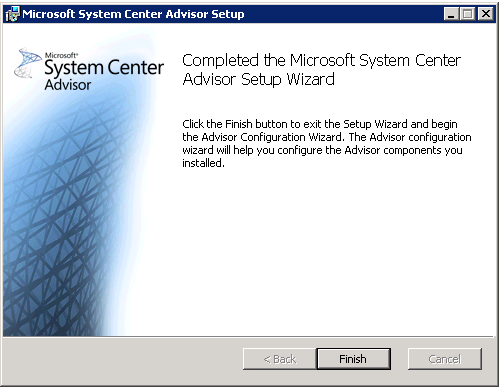 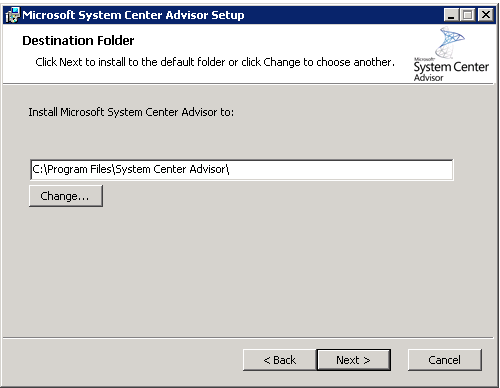 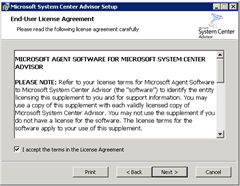 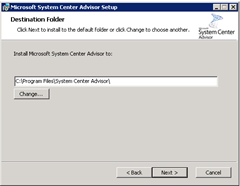 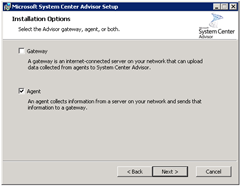 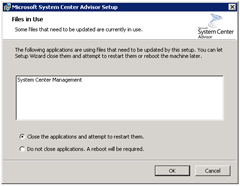 In my previous post (HERE) I introduced System Center Advisor, created an online account and installed the on-site Gateway application. 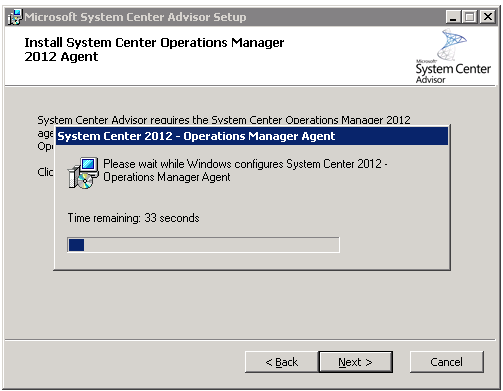 Now I need to install some Agents and start monitoring my deployment. 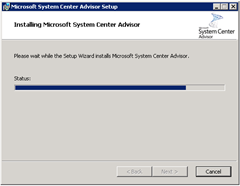 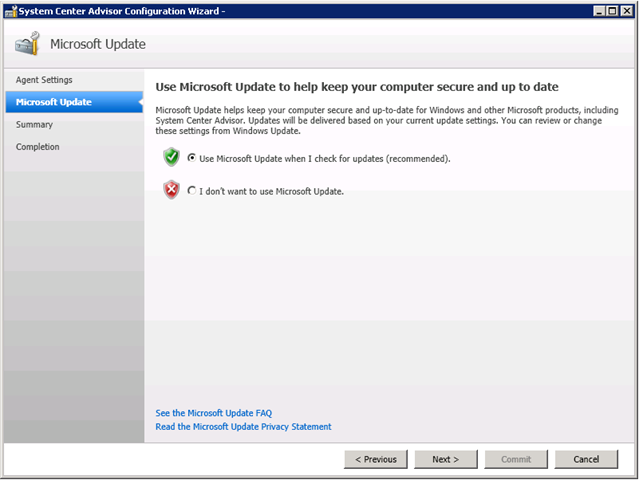 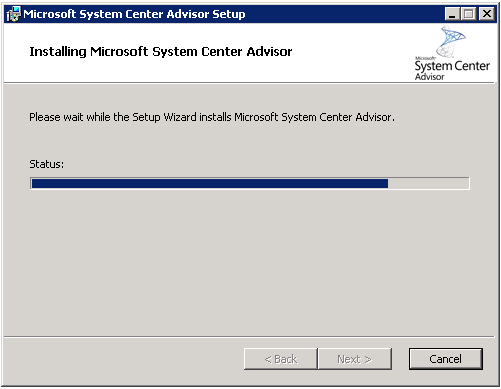 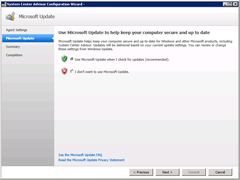 … and as with the Gateway, once you click Close you’re thrown to Windows Update. 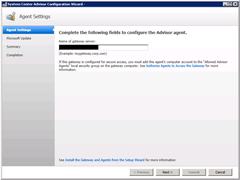 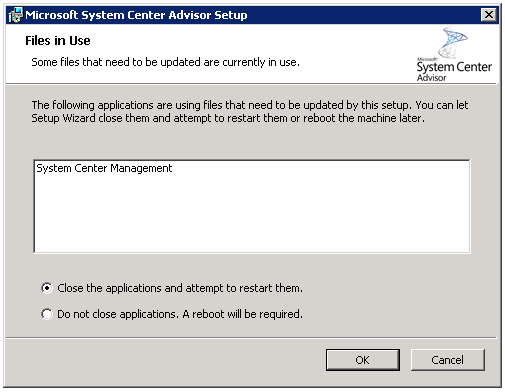 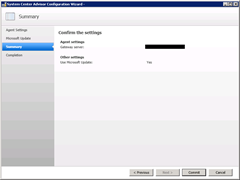 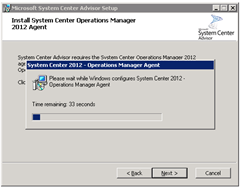 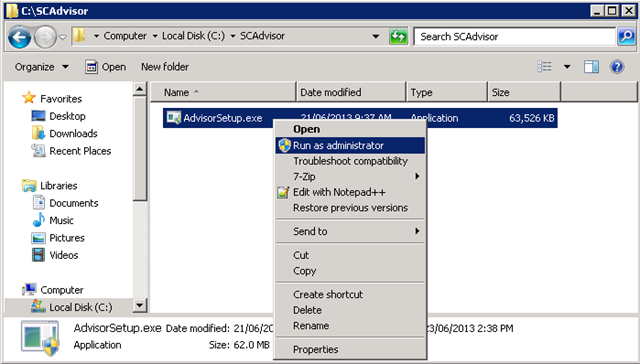 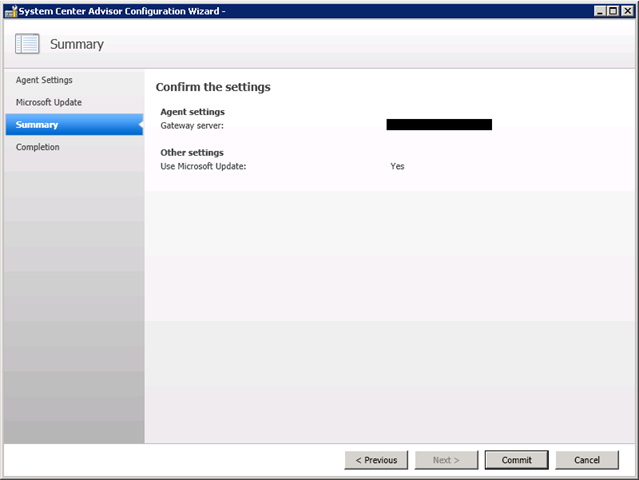 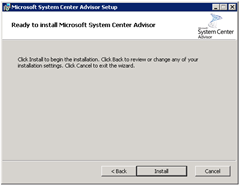 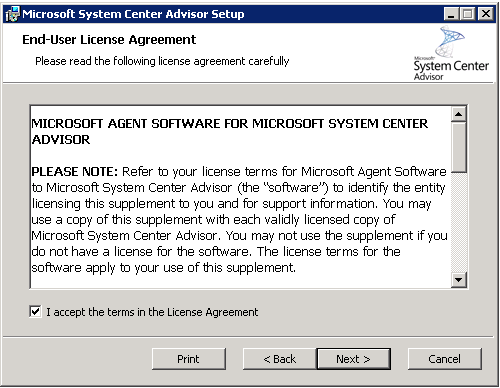 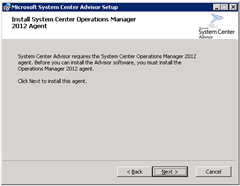 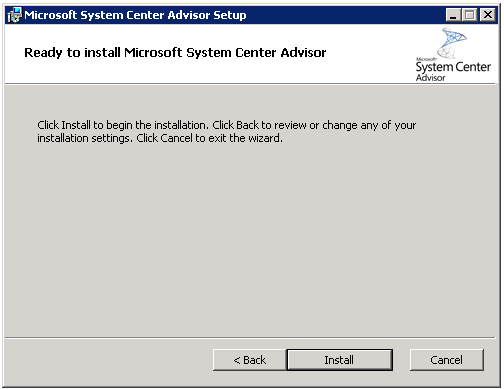 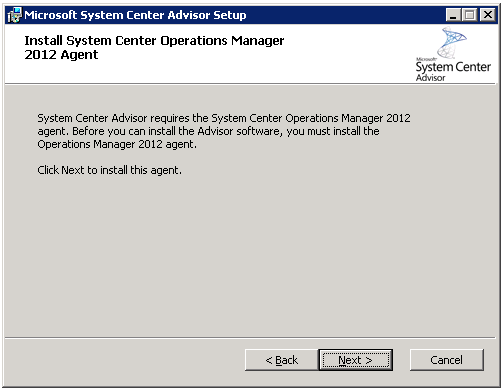 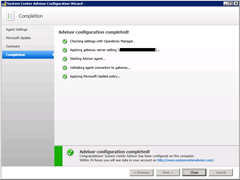 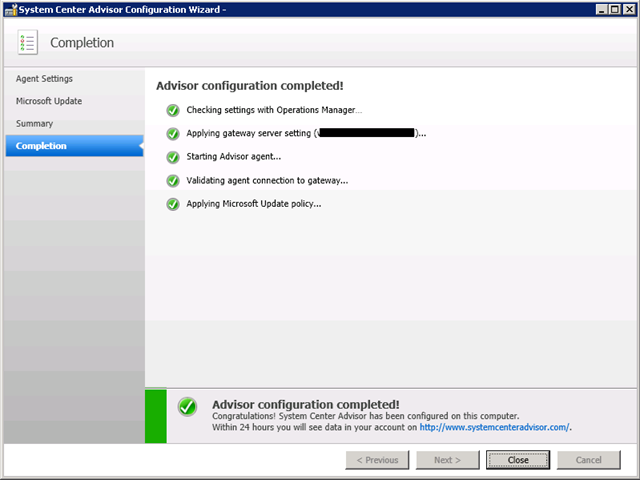 As outlined HERE, we need to ensure Advisor has an account to use to query the Lync deployment. 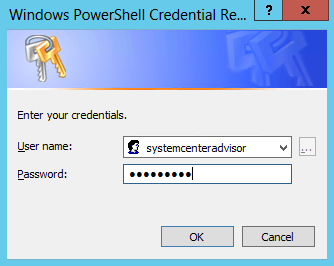 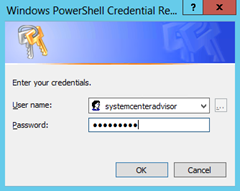 I created an account in AD called “systemcenteradvisor” that belongs to RTCUniversalReadOnlyAdmins. 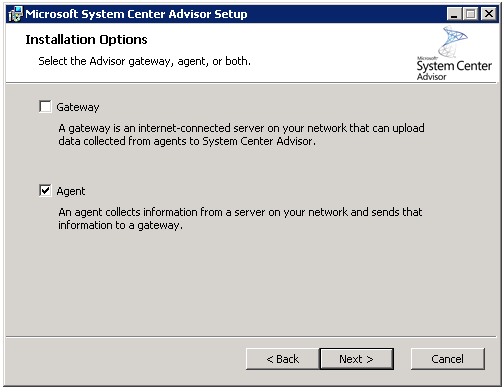 OK, so that’s the Gateway and Agents sorted. 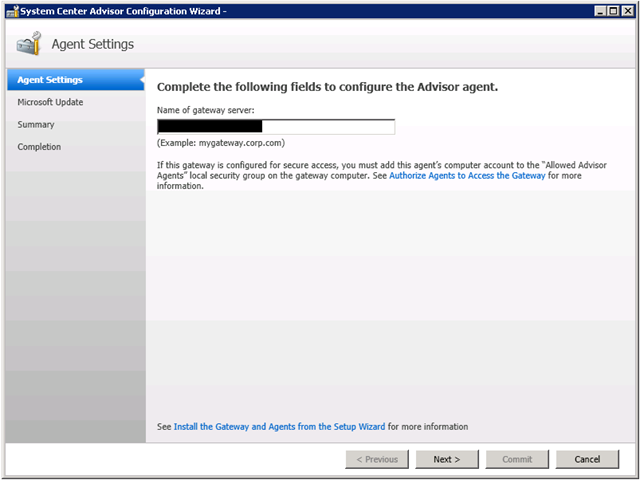 In the next post (HERE) I show you the payoff – the monitoring of my deployment from the web.